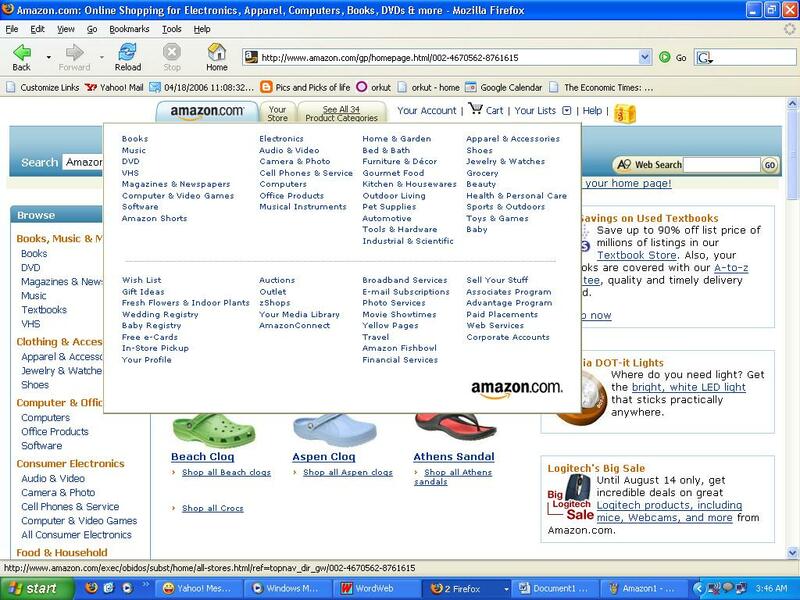 Amazon.com has been a success story for all the supporters of IT & web based selling models from all over the world. In my one year of MBA I have heard a lot of about Amazon.com and was very appreciative of this company which is the hallmark of existence of a virtual world. 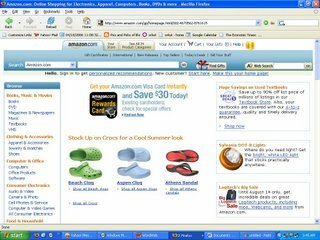 Amazon.com has been a name which fascinated me for all these years and every time I typed the URL of the website I was greeted by a sophisticated interface. 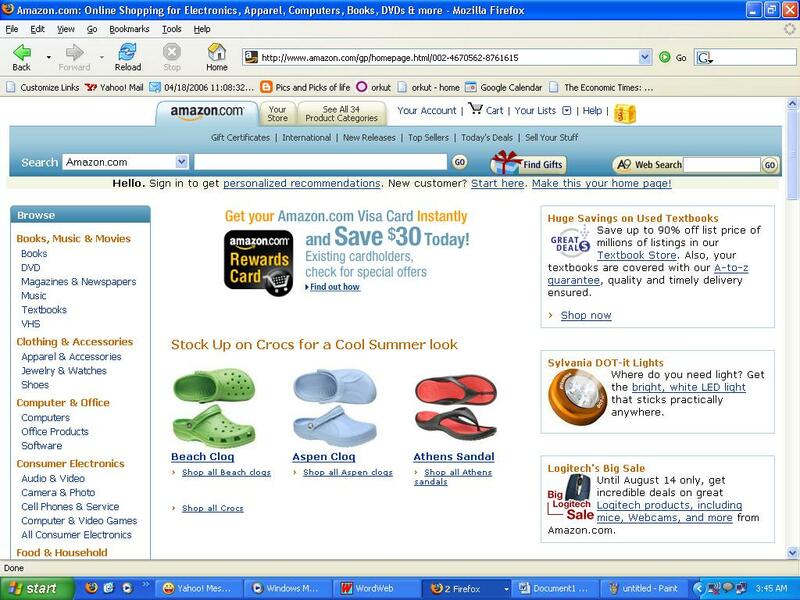 For me Amazon.com was worlds’ biggest and the best online “BOOK STORE”. R ecently an article in Washington Post made me realize and accept a change which was gradually happening and I never realized it. Amazon is changing its business model. They are no more a book store, they are aspiring to be a one stop shop. 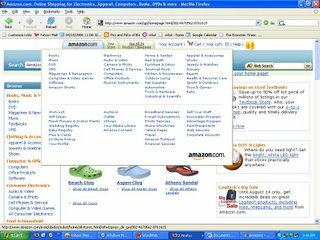 The title bar on my browser says “Amazon.com: Online Shopping for Electronics, Apparel, Computers, Books, DVDs & more”. The interface has changed; it no longer looks like an online bookstore. It is more of a general mart, a variety store or a hypermarket kind of structure. I had strong inhibitions that this strategy of leveraging the brand, would succeed. As a consumer, Amazon for me does not relate to Online store, but an O nline Book Store. The worst part is when I open the site the display greeted me with a display which was not books, stationary, DVDs etc but some pair of Slippers. I can’t believe that a person can have same associations with a place where he buys his slippers and the place where he buys his books. According to me the way Amazon is going it is headed towards doom. Because it contradicts a basic law of branding “The Law of Expansion” which says the power of a brand is inversely proportional to its scope. That is trying to be all things to all the people undermines the power of a brand. The strength of a brand lies in being synonymous with a single category. Amazon is a typical example of an excellent brand violating the law of expansion and losing the brand value. The same can be evident from the earnings and stock prices from past one year which have seen a major drop. It would have been a more practical and beneficial solution for Amazon if they would have made a new brand from scratch. Amazon for customers relates to a category as an online book store and can never be a retail mart. Even Amazon is now aware of the dropping brand equity and customer response. They have been trying hard to regain their positioning buy organizing online shows of Bob Dylan and now lately it has decided to make his f oray into movie business by buying right to make movie on a best seller novel “The Stolen Child”. This comes in the light when Amazon’s stocks have shown a dip of 60% over previous year. I still have strong feelings regarding that will these kind of desperate measures be able to rescue Amazon, from the bear ride it is now on. Will the strategy of diversifying from books to a store of 34 different product categories pay off in a long run. All these questions remained unanswered and probably time can be the only teller to it but as of now the situation doesn’t seem to be in favour of Amazon. Nice observation buddy… Diversification Strategy does work, but onloy to an extent. I had the same growl when I saw my favorite cigarette brand WILLS on apparels – formals and casuals. However, eventually ended up liking the apparells… but that is only to one extent. Amazon, i believe has definitely overdone their diversification. That’s the problem with u MBA guys! To much of analysis for the sake of it. All one needs to do,if one wants to read a book, is to go to crossword and read books for free.